I have been spoiled over the past 20 years due to their success. This season I watched the Braves fall out of playoff contention in August and September and I found myself becoming quickly disinterested. Why? Because they weren’t winning and I just didn’t want to watch my team not perform well. I haven’t watched a complete baseball game in over a month. (That NEVER happens!) I lost faith in them. Now it is October and the playoffs have begun. I found myself staying up late this week to watch two playoff games with four teams that I have no interest in. Why? Everyone likes a winner, right? What draws us to winners? Why are we willing to sacrifice (for me it has been sleep this week) to be a part of winning team? Why are we willing to invest money in winning teams? I think the answer is pretty simple; winning makes us feel good and instills a sense of pride and accomplishment in us. 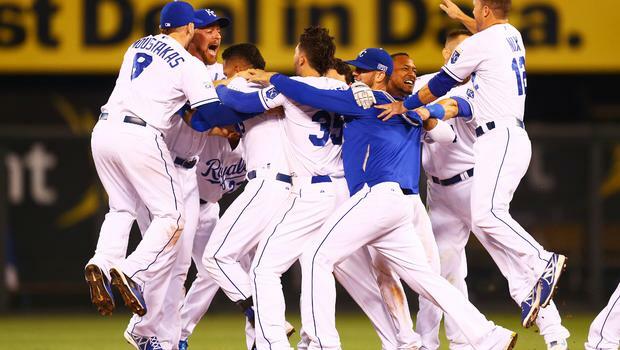 Doesn’t this picture of grown men hugging each other and jumping around make you smile? We should be celebrating the ‘wins’ in our churches. We should celebrate often and with great enthusiasm. There is no better way to celebrate in our churches that when lives are changed through baptism, missions, or one on one life experiences. These happen everyday in the lives of the people in our churches and the people we serve. Please let me know one way that your church has celebrated a win in the past month around prior to receiving the offering.